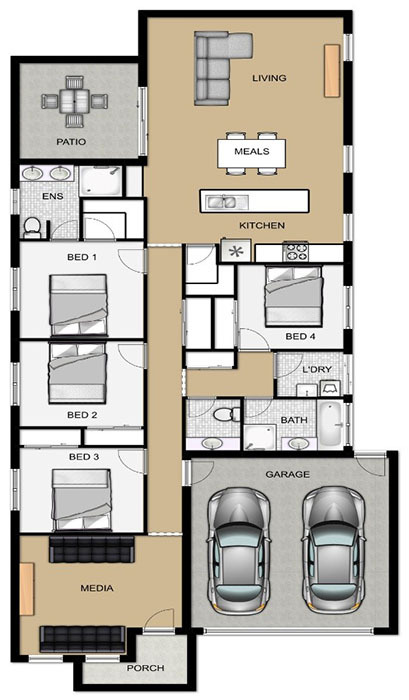 Simplified living at its best, the Hendra is a single storey home that would suit a growing family. Featuring four bedrooms, with the master bedroom offering a spacious ensuite and walk-in-robe. Boasting a media room and living room, this home understands that sometimes families just need to spread out. With an open plan kitchen and adjoining patio, entertaining will be a breeze. 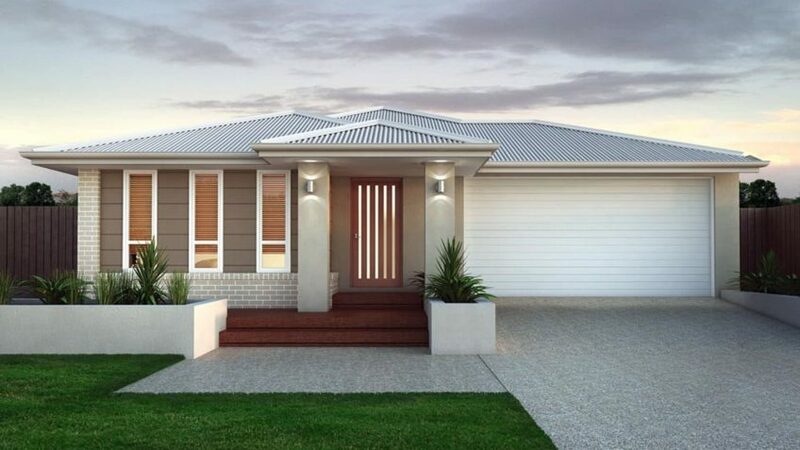 With a double garage and covered porch, the Hendra home offers beautiful minimalistic living.